The chances are that you know at least one person who owns a Ford Fiesta just now or who has owned one at some point in the past. This hugely popular car has been around since the mid 1970s and shows no signs of losing its appeal anytime soon. In total, around 16 million Fiestas have been sold around the world, and the car sits near the top of the UK best seller chart year after year. 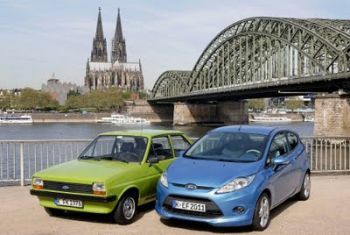 Like any car which has been around for so long, the Ford Fiesta has undergone a number of changes over the years. There have now been a total of 6 different generations made, with each of them containing a number of models. Many of these are still on the UK roads. If you pay attention the next time you are out you will see that there are many different types of Fiesta going around. If you are planning on buying one then you will also quickly see that prices and specifications vary widely, so it pays to know what kind of Fiesta you are looking for before you start checking them out. The latest models are incredibly smart looking and are a far cry from the early boxy ones. Having said that, if you want a cheap and reliable vehicle some of the older models are also decent buys even if they aren’t so easy on the eye. Why would you buy a Ford Fiesta? There are a number of reasons why these cars are so popular which are worth considering. It isn’t the cheapest of the small cars around just now but it offers a very nice combination of value, roominess, good looks and fuel efficiency. As long as you know what to expect from this type of vehicle the Fiesta won’t let you down. It isn’t fancy, luxurious or sporty but it is a solid, dependable ride which many people swear by. You might see it as a decent first car but there are plenty of Fiesta owners who keep on buying them time after time. If you want a comfortable car which is easy to drive and is unlikely to let you down then you could do a lot worse then check out the Ford Fiesta Range. There are different models of the Ford Fiesta sprinkled throughout the various insurance groups currently used by UK insurance companies so it’s important that you get a quote on the exact model you are interested in. The very lowest insurance group is 1 but you need to move up to group 3 before you start seeing some Fiestas. For example, some of the 1.25 Studio vehicles from 2008 onwards are rated in this group, which means that it is among the cheapest cars to insure. Group 5 then sees a few different Fiesta models crop up. The 1.3 Finesse 5 door option from 2002-08 is one which falls into this category, as do some of the 1.25 Studio and Style cars from 2008 onwards. As we go through the rest of the groups we see that there are Fiesta models in many of them. Some of the higher performing Fiestas are rated in the more expensive groups. A couple of good examples are the Zetec and Titanium models. These are higher spec cars and extremely attractive to look at. However, the quality in them is reflected in both the asking price and the higher insurance groupings, which are as high as 15 in some cases. The Fiesta is a car which has made a lot of drivers happy over the years. The fact that it is available in such a wide range of models means that there is something for just about every motorist to enjoy. The only word of caution is that with the range being so extensive it is important that you do your homework on the exact model you are interested in, especially when it comes to the insurance group. Okay then. I’m gonna check out Ford Fiesta..